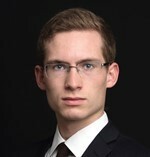 Raphaël Goguet de La Salmonière is a student of Project and Programme Management and Business Development in Skema Business School (Paris, France). He started his university studies with a bachelor’s degree in financial markets. He has various professional experience in wealth management, press agency, or database reliability. His experience in project management started during his bachelor studies when he created and directed a market finance association with 30 members during 2 years. Soon he will be AGIL & Prince2 certified.